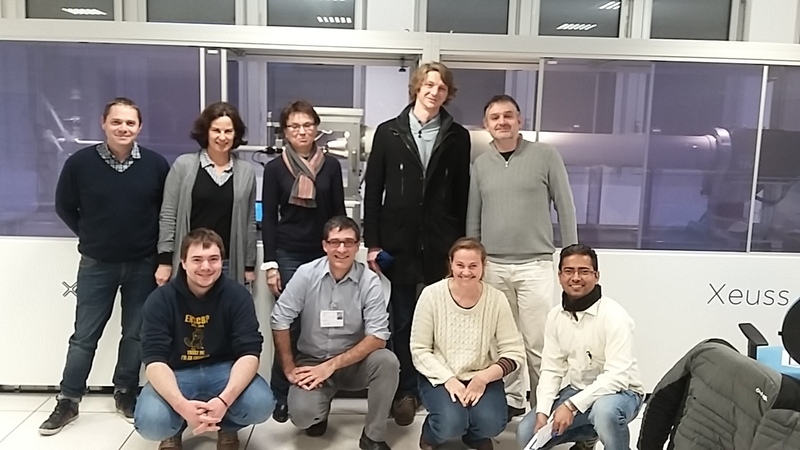 The Laboratoire Léon Brillouin (LLB) has installed in the "SWAXSLab" within the CEA Saclay a high resolution X-ray spectrometer Xeuss 2.0 from Xenoxs company ). This equipment aims at SAXS/ GISAXS and X-ray Reflectometry measurements as complements to SANS/ GISANS and Neutron Reflectometry experiments. Used in various research fields, such as soft matter, magnetic materials, chemistry, biology…, it allows investigating samples using SAXS for structural studies, and Grazing Incidence SAXS (GISAXS) and together with X-ray reflectivity for surface analysis. Its performances and specifications are complementary to the other X-rays devices of the SWAXSLab. 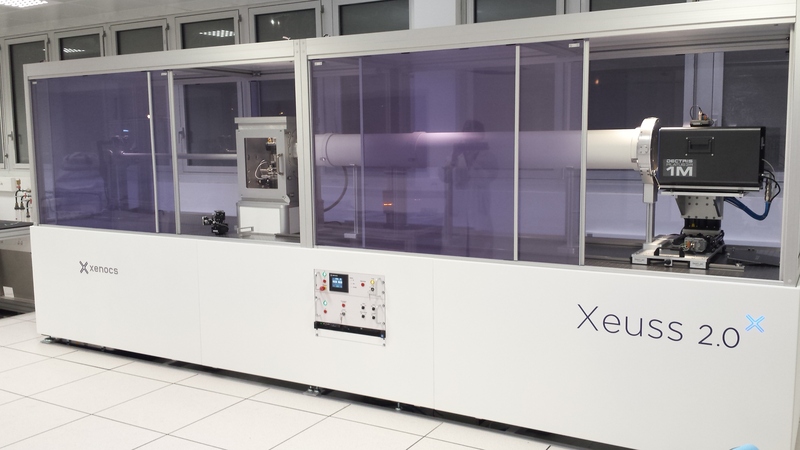 The generator is a GeniX3D – copper microsource source of high power density, equipped with a single reflection optics FOX3D leading to a highly collimated beam (divergence <0.4 mrad) with a large efficiency. The flux at the source is >107 MPh/s. The collimator is composed of two scatterless slits systems to reduce the background. The distance between slits is fixed to 1.3m. The beam size at the sample can be continuously varied: from 1.2 mm x 1,2 mm to 0.25*0.25mm. For a collimation 1.2mm*1.2mm / 0.8mm*0.8mm the flux is 39.6 MPh/s. The sample chamber can be put under vacuum or not. The detector is a PILATUS3 1M from Dectris of 168.7 x 179.4mm active detection dimensions with 172*172mm pixel size. Its very low background, high efficiency and high counting rate allow us to use it for absolute measurement of the scattering intensity. The sample to detector distance can be varied : 20cm, 80cm, 130cm and 250cm in order to achieve with optimized flux/divergence ratio a large q range from 2.2 10-3 Å-1 to 3Å-1. The system control for data acquisition is based on SPEC from Certified Scientific Software and compatible with TANGO the software developed to control the other X-rays instruments of the SAXSLab.